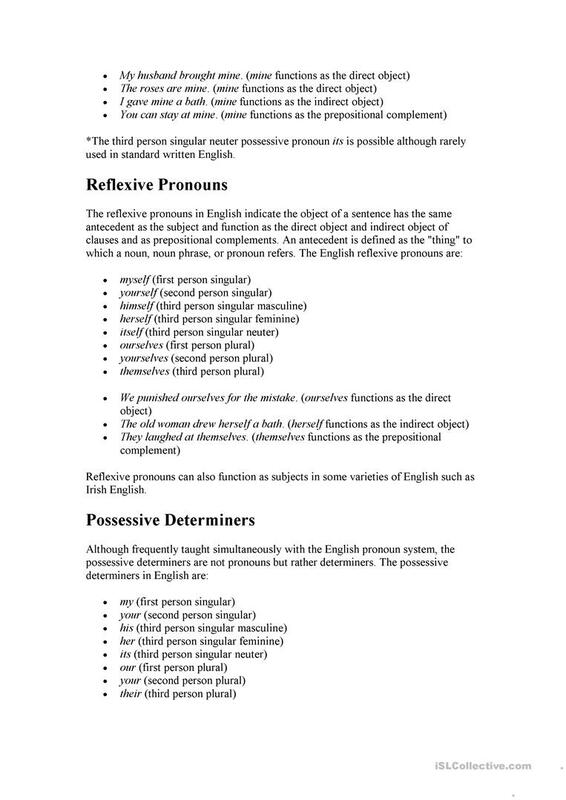 The present printable, downloadable handout is best suited for adults at Intermediate (B1) level. 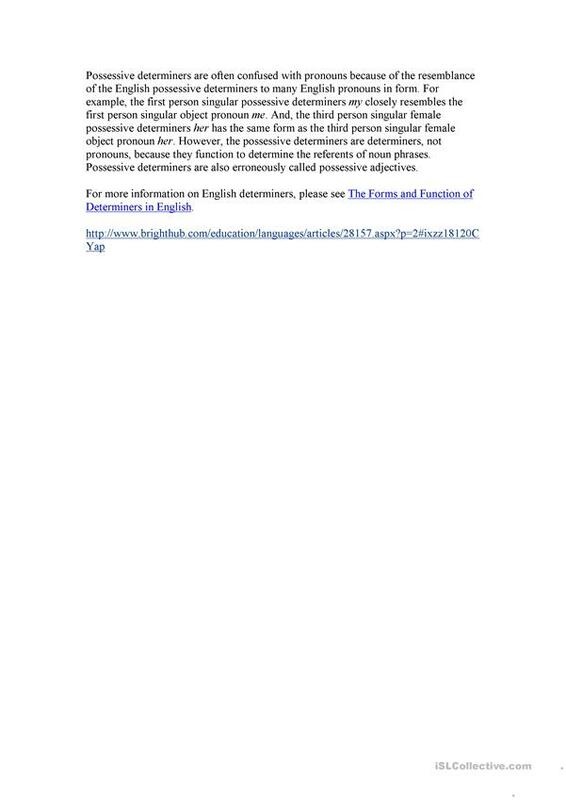 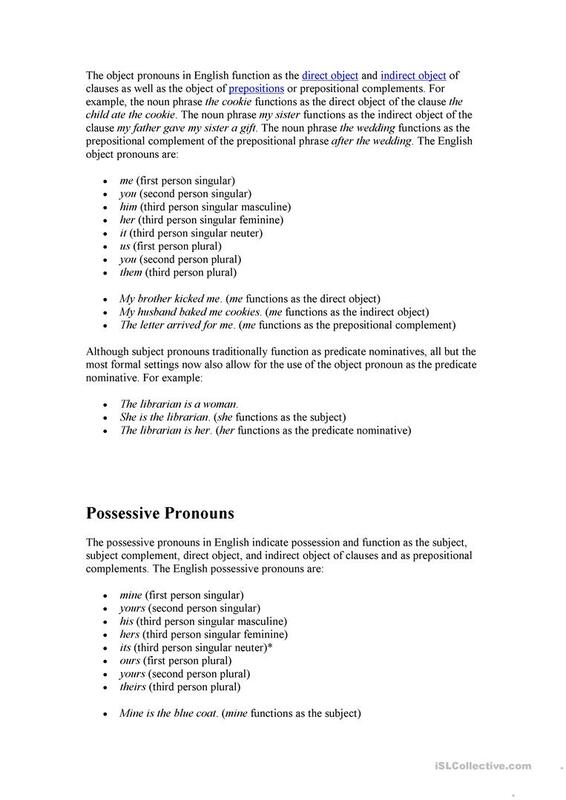 It is aimed at revising Personal pronouns in English, and is useful for honing your pupils' Writing skills. 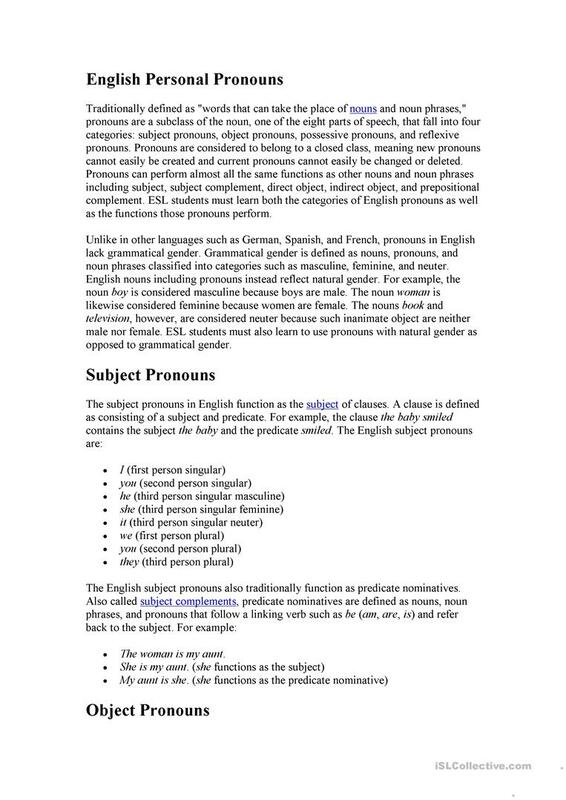 It features the vocabulary topic of Language functions. imemanem is from/lives in Saudi Arabia and has been a member of iSLCollective since 2011-03-21 20:59:30. imemanem last logged in on 2013-09-14 22:27:34, and has shared 1 resources on iSLCollective so far.